View of the large brine pit, the active tank battery, and the partly remediated salt scar adjacent to Skiatook Lake at the OSPER "B" site (photo courtesy of Ken Jewell, USEPA). Extensive investigations by U.S. Geological Survey (USGS) scientists at two research sites adjacent to Skiatook Lake in the Osage Reservation, northeastern Oklahoma, have shown inadvertent environmental impacts associated with petroleum production. For example, natural saline-water removed from the subsurface when the petroleum is extracted is sometimes spilled on the ground. The local effects of the spills include soil salinization with resultant destruction of soil textures and deep erosion, stress or death of vegetation, and salinization of surface water and ground water. Additional effects of petroleum production at the sites include saturation of soils with crude oil, and weathering and dispersal of crude oil components. Continuing investigations are helping land managers understand the effectiveness and roles of natural bioremediation as well as conventional cleanup procedures at these sites. Recent results are being used by the U.S. Army Corps of Engineers (USACE) to modify their cleanup procedures for saline water spills on these USACE lands. For example, in the past impacted soils were removed to a depth of 6 inches, replaced by fill soils, and revegetated in order to mitigate the effects of saline spills. USGS scientists have shown, however, that these procedures are not effective over the long term due to the eventual upward wicking of saline water below the 6-inch depth and ultimately into the fill soils. Based on these results, the USACE modified the soil amendment and revegetation procedure to increase the long-term success rates of mitigated sites. 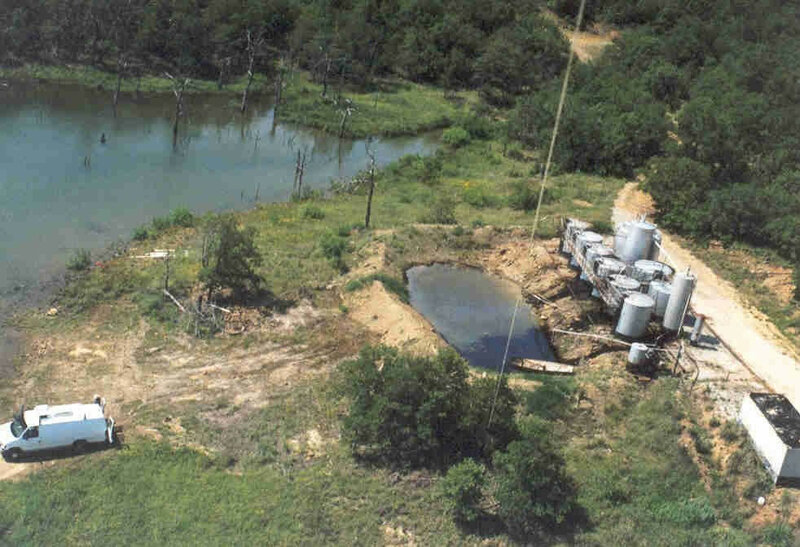 These investigations are part of the Osage-Skiatook Petroleum Environmental Research Project, conducted jointly by the USGS Toxic Substances Hydrology Program and the Energy Resources Program. Environmental Impacts of Petroleum Production-Initial Results From The Osage-Skiatook Petroleum Environmental Research Sites, Osage County, Oklahoma, Yousif K. Kharaka and James K. Otton, editors, 2003: U.S. Geological Survey Water-Resources Investigations Report 03-4260, 164 p.
USGS Scientists Contribute to the Landmark " Treatise on Geochemistry "